as we draw closer to the heart of God. Family Fare - Direct Your Dollars Program! SOUP-ER BOWL fundraiser for Eleanors Pantry! Meet Christopher Gray, our choir director! 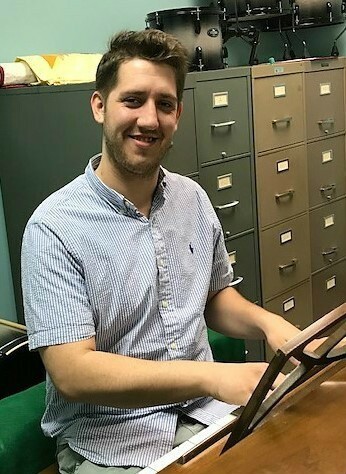 Chris, a graduate student at Western Michigan University, is pursuing his Master of Music in Piano Performance. Chris has also conducted the choir at First United Methodist Church of Ada, and has accompanied and worked with other music groups during college. Chris looks forward to meeting with all singers at our rehearsal. If you would like to join the choir but cannot attend that first rehearsal, please call or e-mail the church office (657-3111) or firstpres1@btc-bci.com to be added to the choir mailing list.